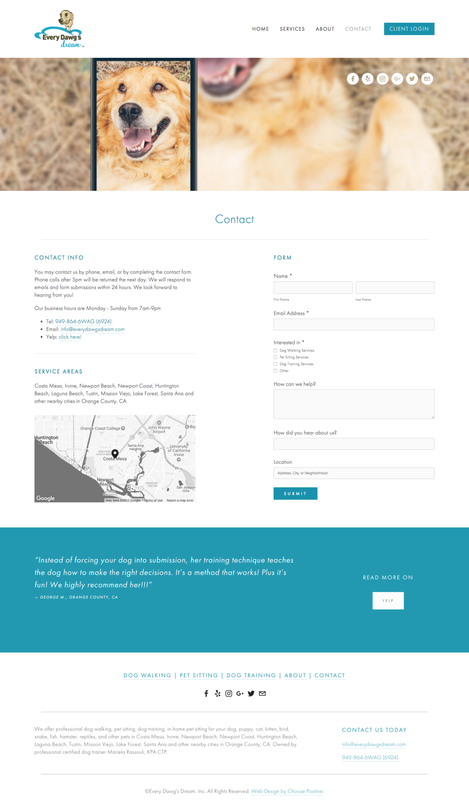 We recently designed and launched a dog walking, pet sitting, and dog training business website for Every Dawg's Dream! They are located in Orange County, CA and owned by Mariela Rassouli, KPA CTP. Her original website was designed in 2010, so this is a great opportunity to see how to effectively update and modernize the look and functionality of your older website. How to organize your website's menu navigation and page content based on your personal marketing goals and improve the user experience of your site. Understand how full-width layouts and uniform formatting and design choices can create a more enjoyable viewing experience for your potential clients, which leads to them wanting to stay on your page and take the next step to sign up for your services. Integrating software you already use with your current site into a new site smoothly. 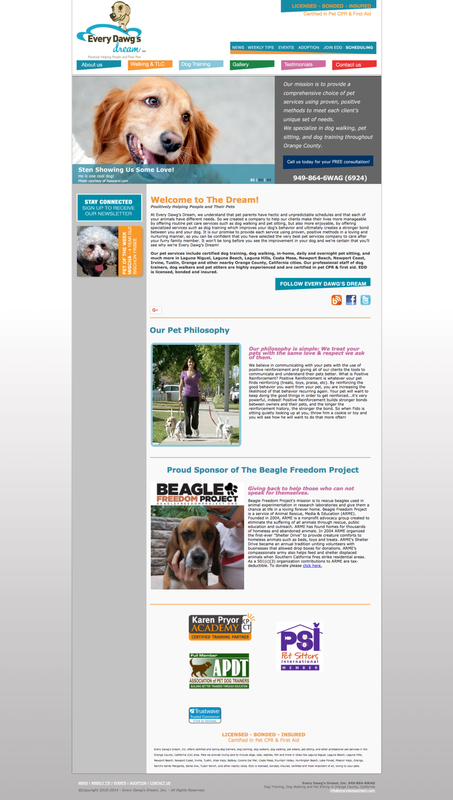 How placement of a Client Login button is important for dog walking and pet sitting industries. More details are in the video about many other improvements we made.